Snow Performance SafeInjection Solenoids are designed to work in conjunction with the Snow Performance SafeInjection System. Solenoid such that boost is reduced in a wastegated turbo set-up. Solenoid such that boost is reduced by opening a bypass valve. Solenoid such that boost is reduced by opening the internal bypass valve in Eaton superchargers. Works with Ford (Cobra, Lightning, GT, GT 500, etc. ), GM (Cobalt, Grand Prix GTP, etc. ), and Jaguar vehicles as well as aftermarket Eaton setups. A normally closed relay that opens when the SafeInjection™ detects a loss in system flow. 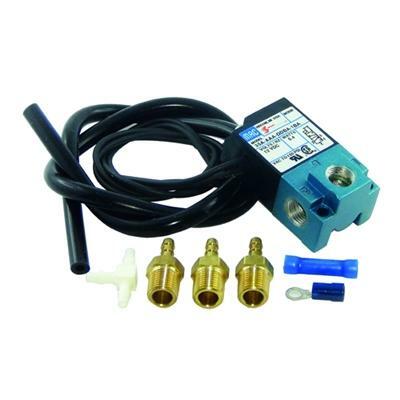 Can be used to deactivate a boost controller solenoid, deactivate a nitrous system, or other 12 volt system.